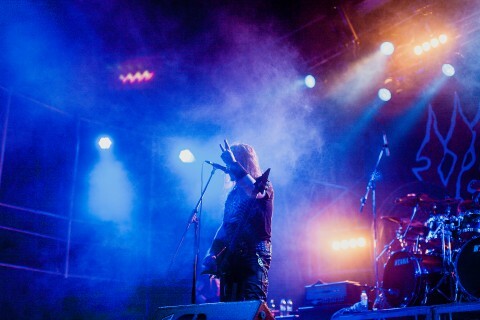 On September 13 three Polish heavyweights descended upon Kyiv — Vader, Hate, and Thy Disease. 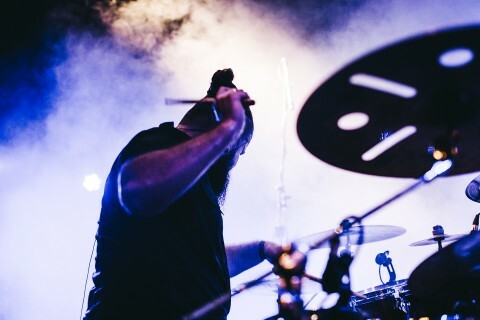 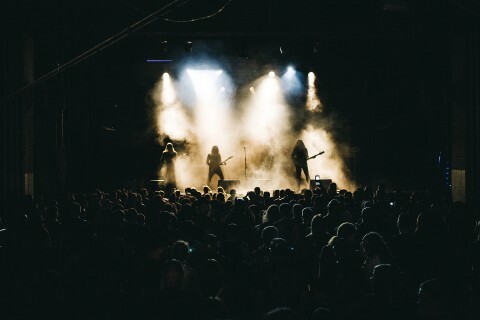 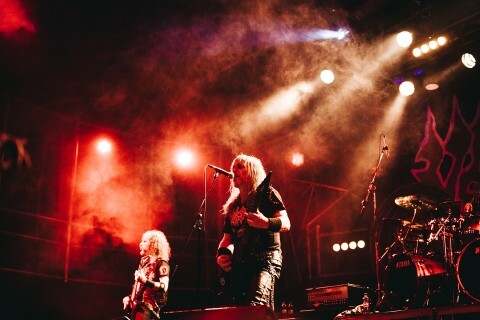 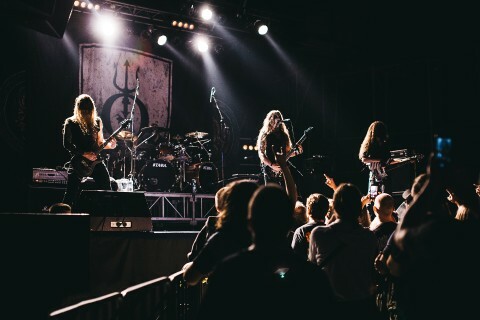 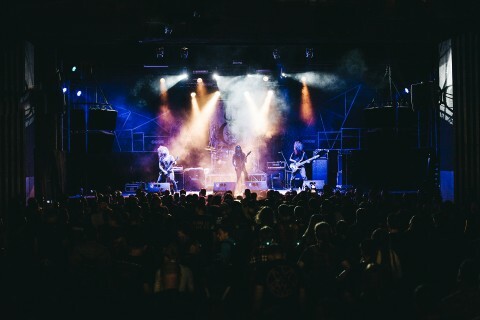 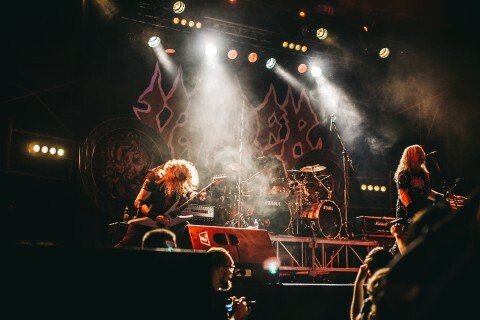 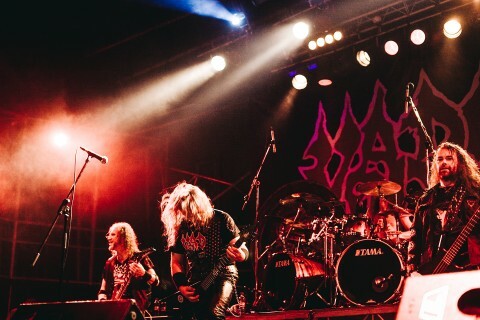 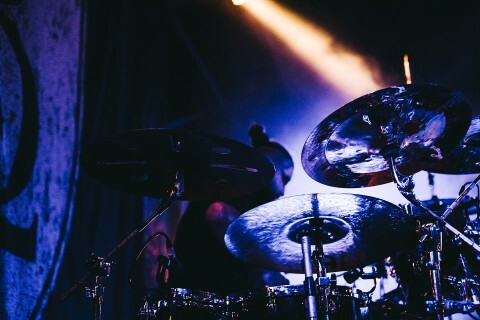 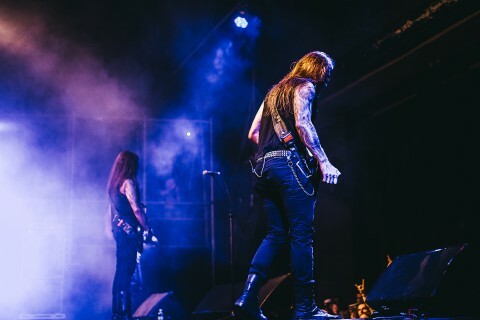 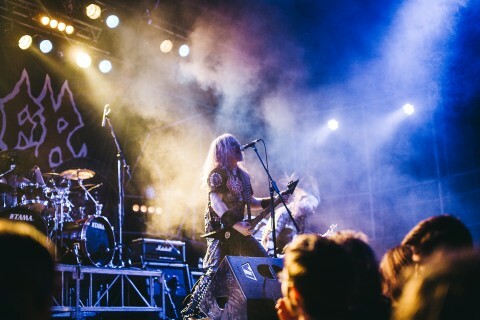 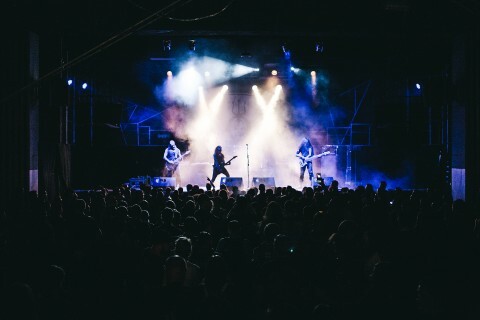 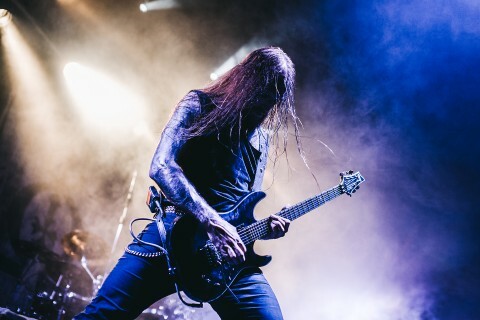 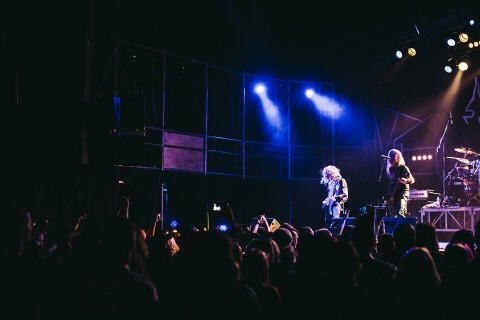 The event took place at the Bingo club in Kyiv, a multi-purpose venue featuring a strip-club, except on this night a different sort of depravity captured the attention of the audience, as the bands’ Battering the East tour across the CIS countries lay waste to Ukraine. 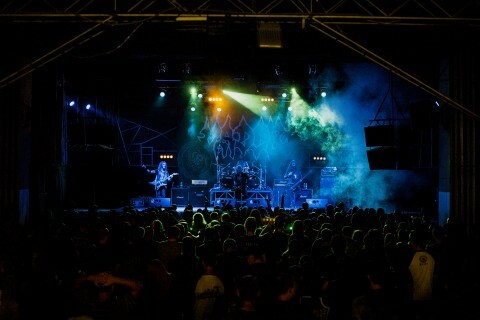 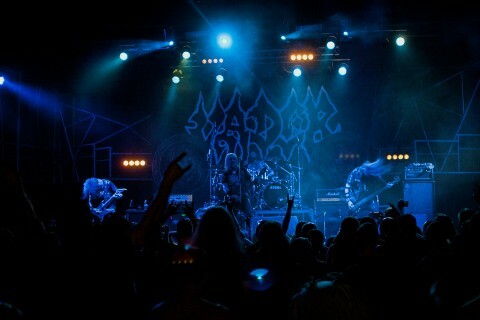 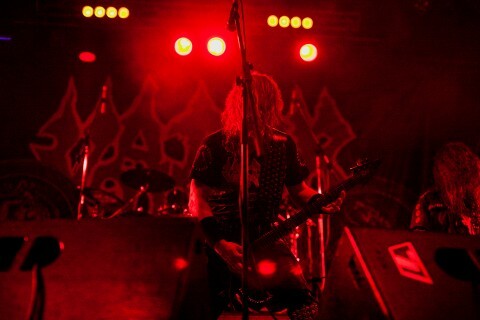 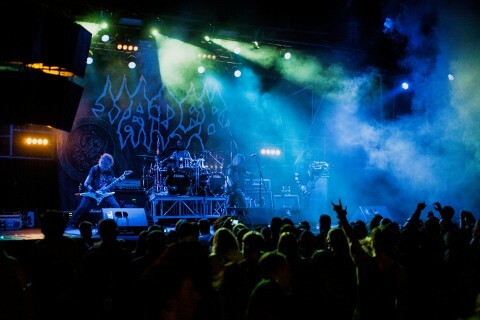 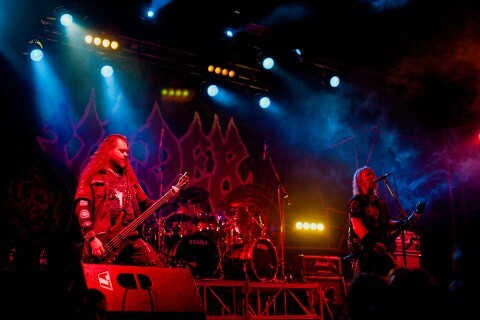 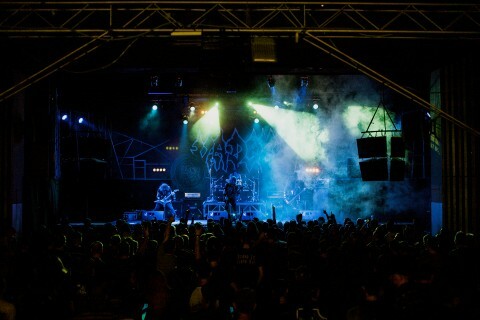 Industrial death metal act Thy Disease were the opening act providing a riling set to the awaiting fans. 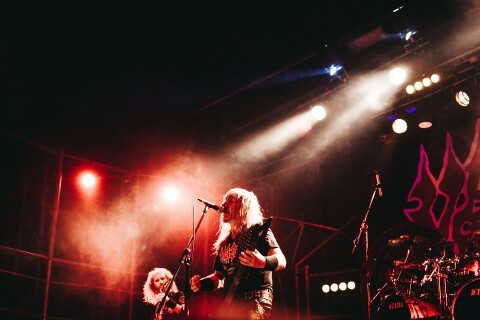 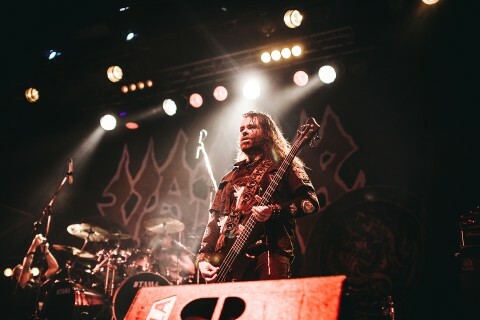 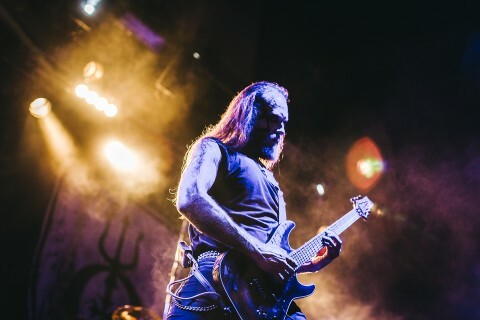 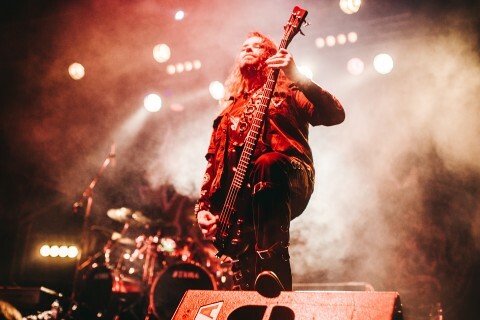 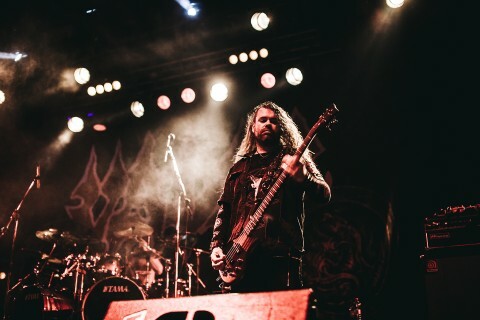 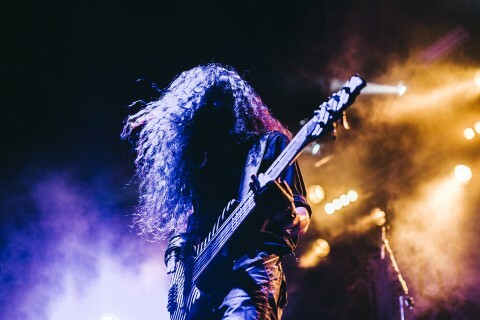 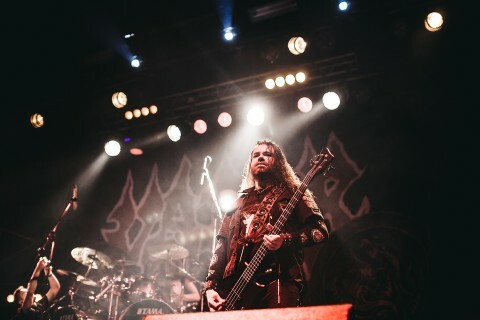 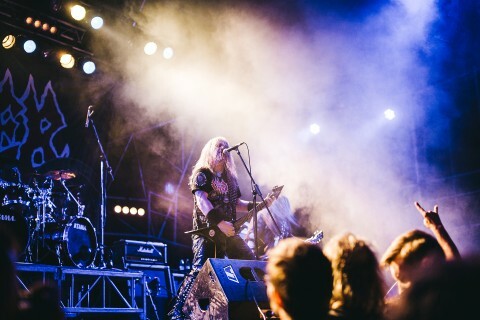 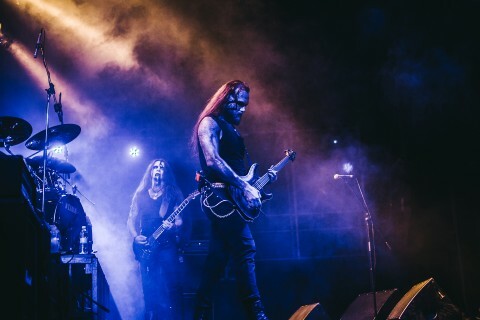 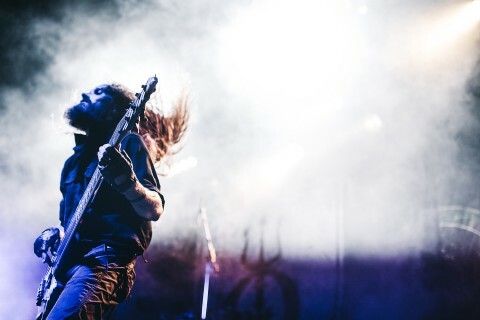 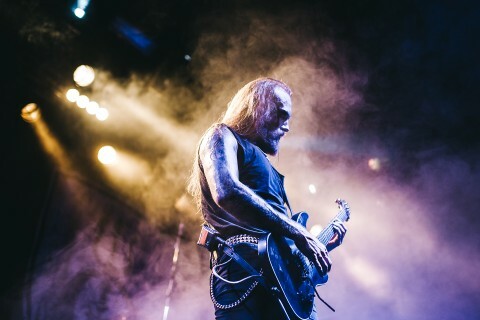 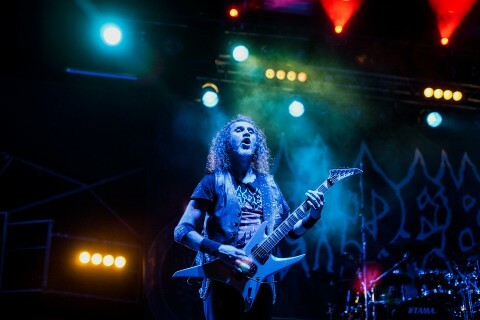 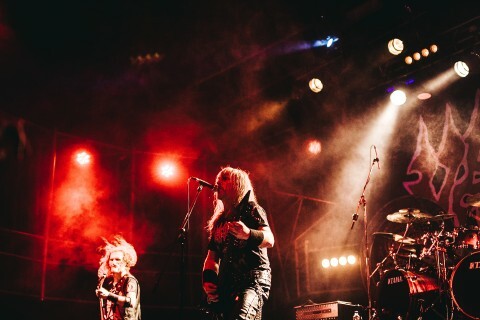 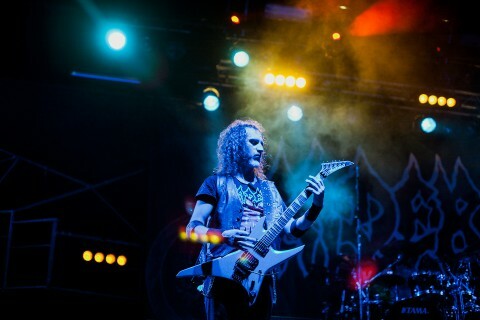 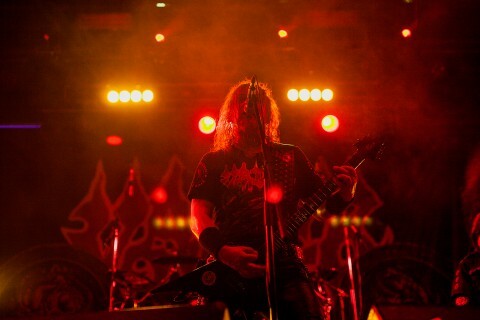 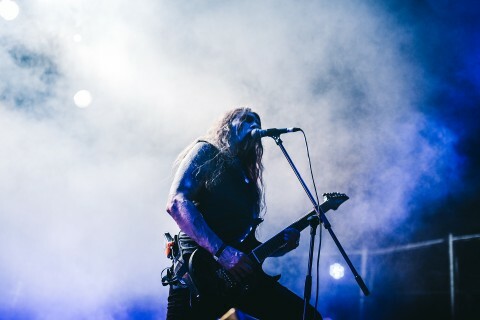 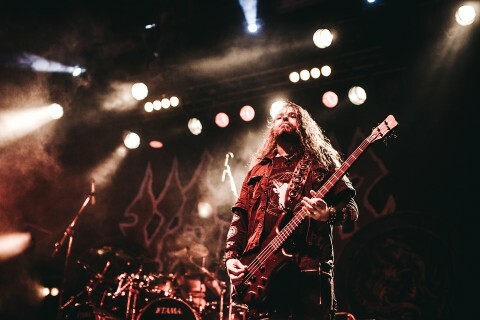 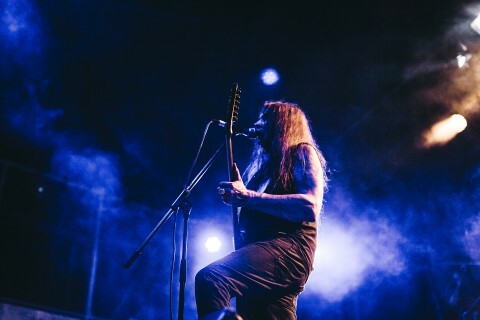 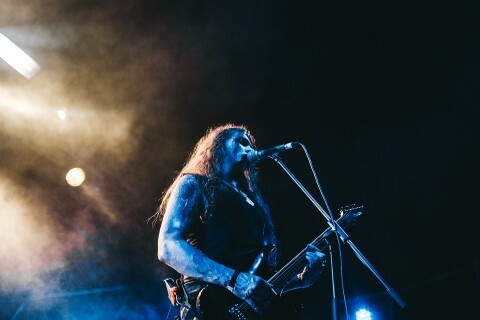 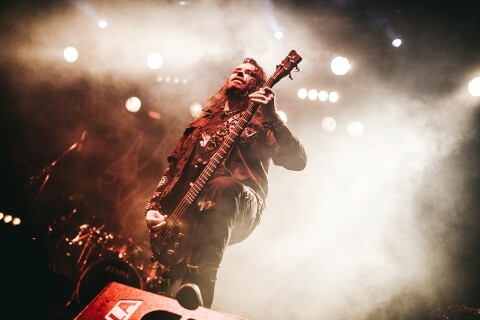 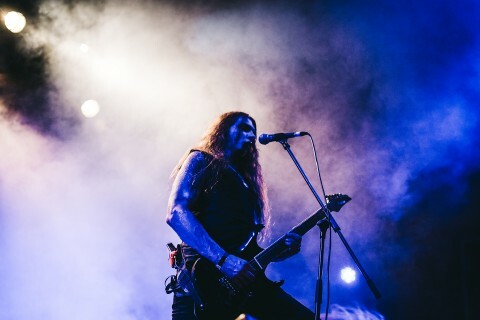 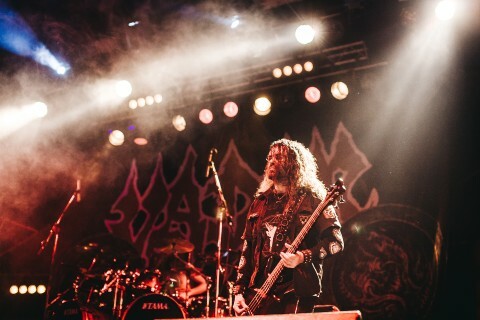 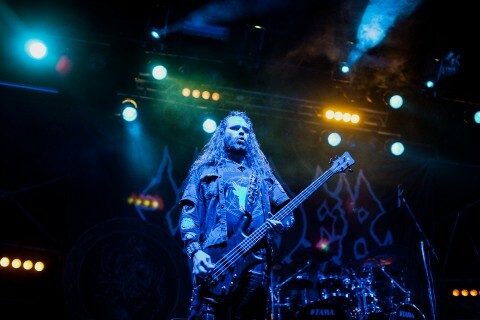 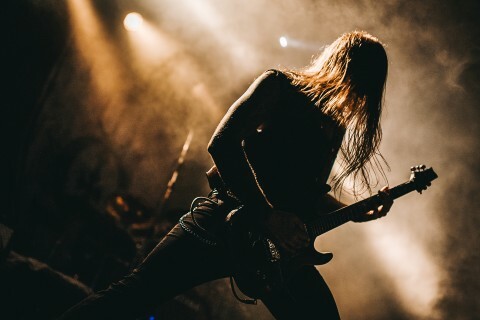 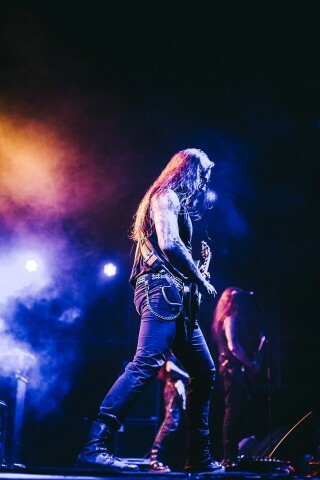 The biggest surprise for those who missed the band’s Facebook announcement in June, was the appearance on stage of the vocalist Marcin Parandyk, known for his involvement with Killsorrow, Skyanger, and Vane. 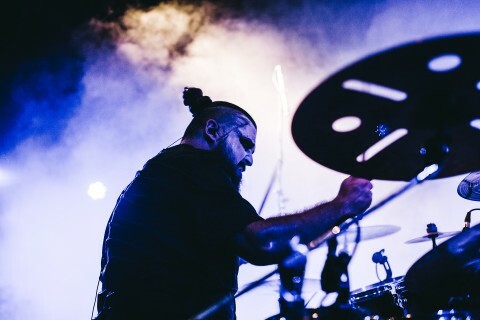 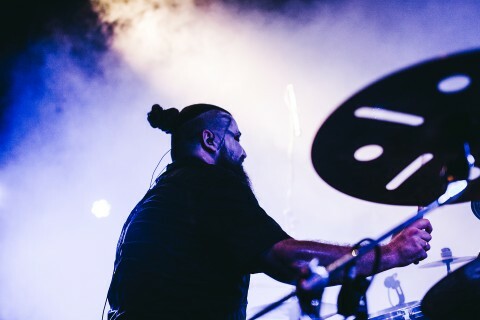 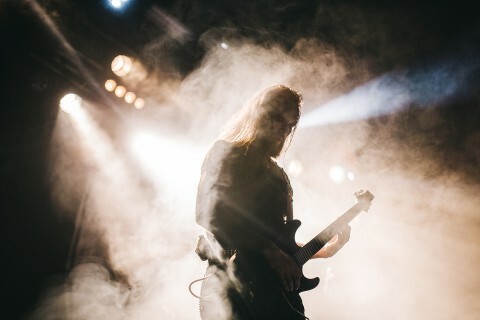 Marcin joined the band this year, replacing Sebastian Syroczyński, who sang with Thy Disease from 2011 ‘til 2018, and with whom the band recorded their latest album "Costumes of Technocracy". 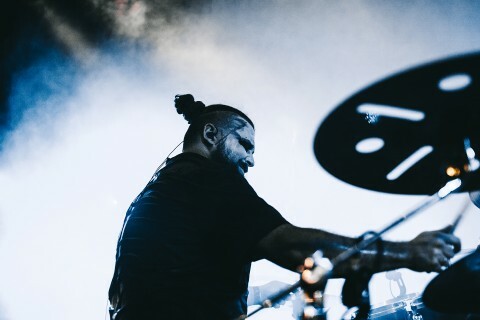 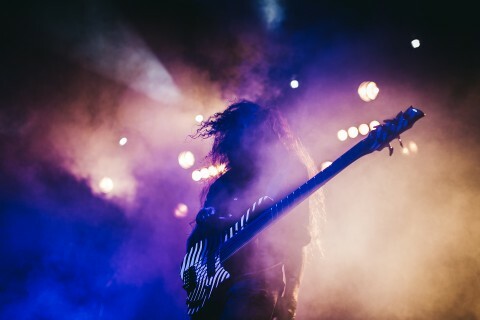 Sebastian’s replacement was explained as "the recent evolution in our musical style" — it seems because of this Thy Disease chose to eschew any synthesizers during the concert. 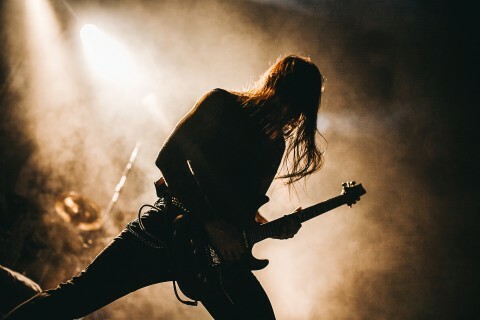 From what I saw, the new member fit well into the team, and the group proved itself worthy, with a tight and powerful set. 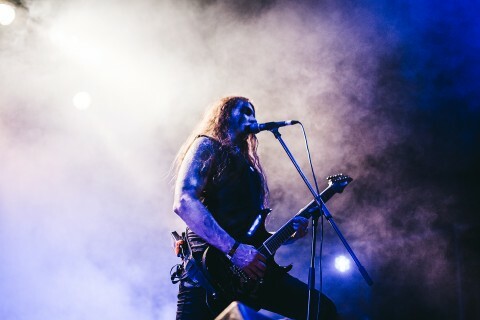 Thy Disease’s set, consisted nearly entirely of material from their upcoming 7th album already recorded with Marcin; so fans should be ready for such new tracks as "Inhuman Task", "A Drone Soul", "Aluminum Cities", "Infrasonic Noises", and "Unique Creation". 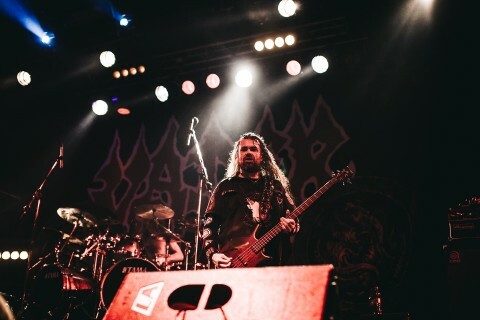 Only two songs from their back catalogue, "Holographic Reality" and "Global Technocratic Prison" (from 2014’s LP "Costumes of Technocracy"), were played. 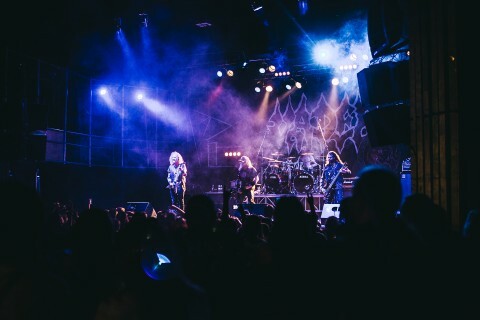 Hate, who have recently signed a contract with Metal Blade Records, announcing the release of a new album set to drop in mid-2019, played a set in support of their latest LP "Tremendum". 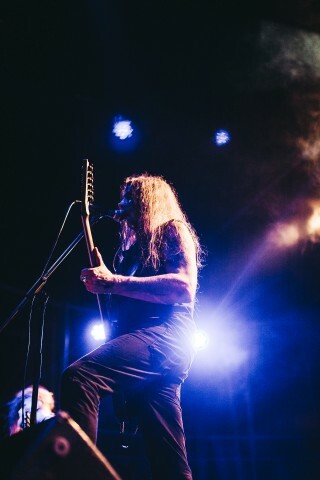 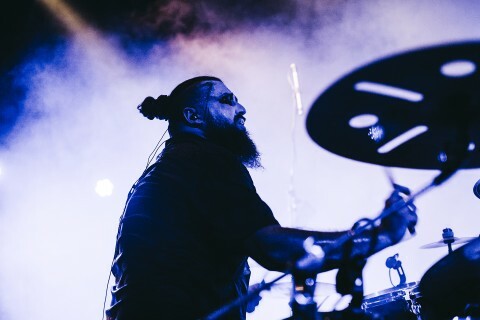 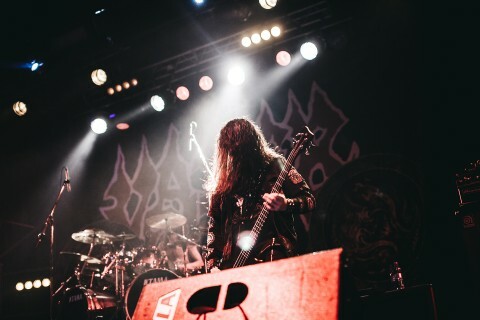 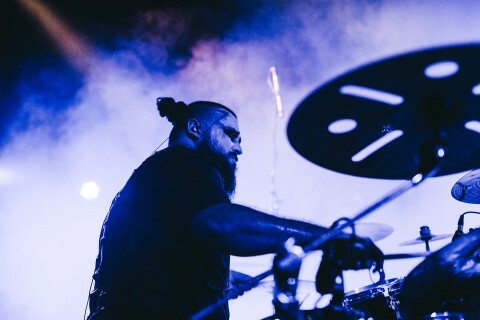 By the time Hate appeared before the crowd, there were already several hundred people gathered in anticipation; their powerful sound and intense live material significantly amped up the audience and stirred activity through the venue like a shockwave. 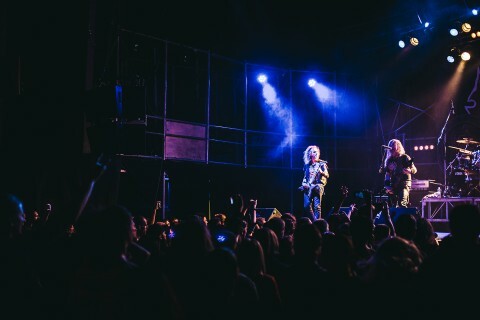 After their performance, the band’s vocalist Adam spent time walking around the club, talking and taking photos with fans. 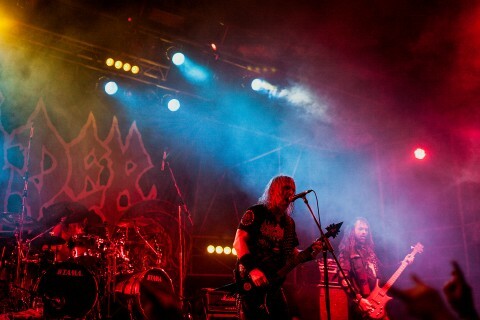 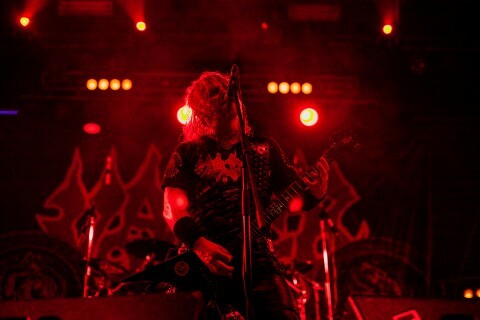 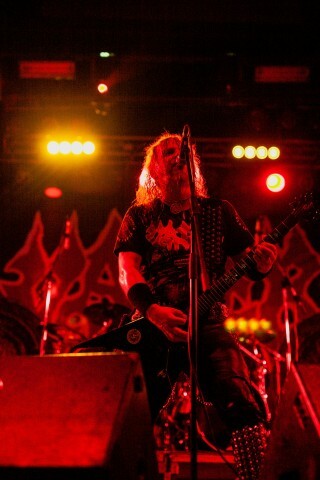 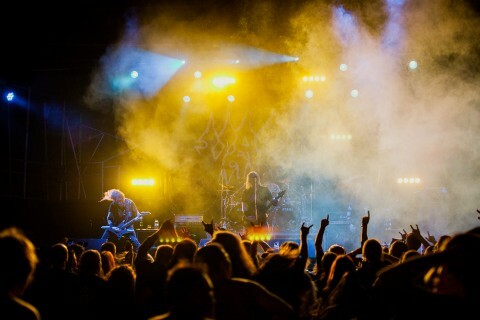 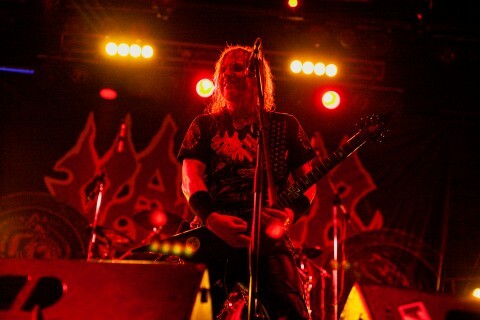 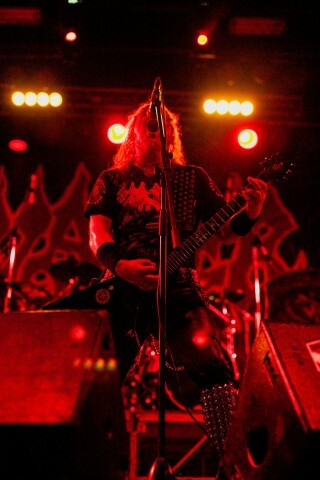 Finally, death metal titans Vader, took the stage; despite the efforts of the previous bands, Vader’s performance stood head and shoulders above the rest. 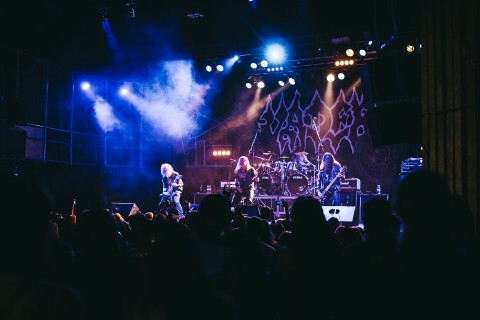 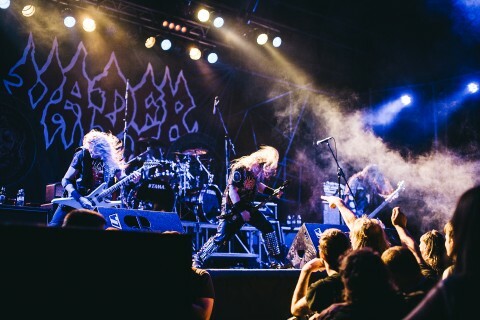 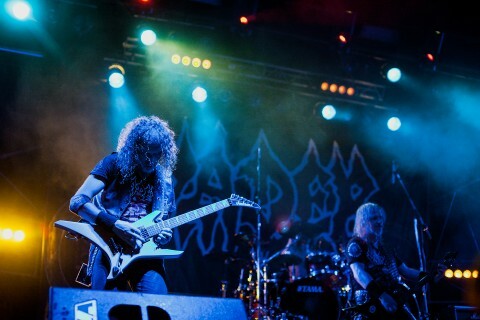 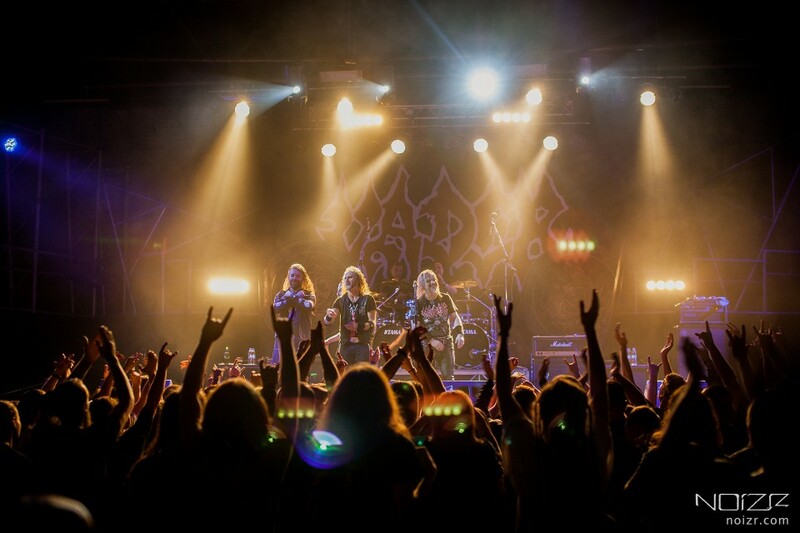 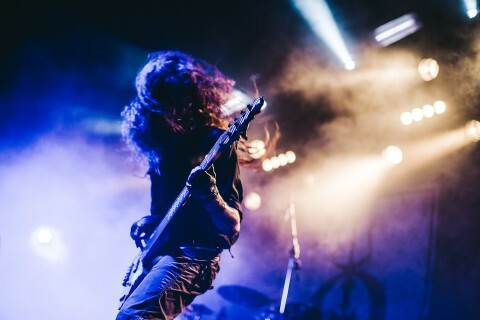 Kyiv’s horde of death/thrash metalheads inflamed the band into a sensational performance, accompanied by relentless circle pits and stage diving mayhem. 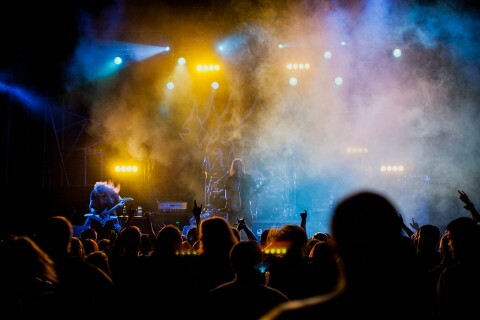 A dynamic and potent performance from them left me stunned, Vader had the best sound, plus the material itself was enormously groovy. 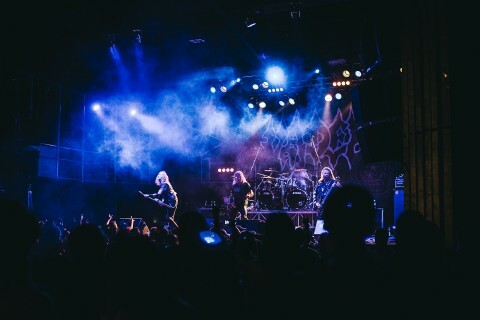 An extra bonus of the concert was that Vader presented a special program in honour of the 25th anniversary of their album "The Ultimate Incantation". 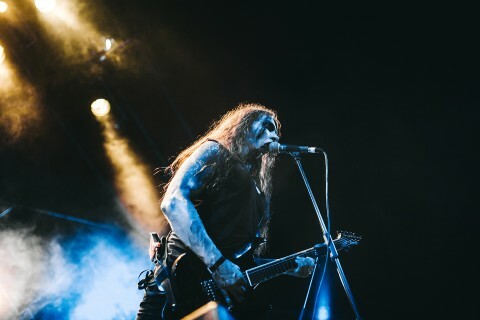 In addition to songs from the cult debut record ("Dark Age", "Vicious Circle", "The Crucified Ones", "Testimony"), the band also performed hits from their lengthy career, beginning with "Silent Empire", "Carnal", "Fractal Light", and "Kingdom" and ending with "Black to the Blind", "Epitaph", and "Helleluyah (God Is Dead)", finally, the musicians left the stage to a spectacular Imperial March. 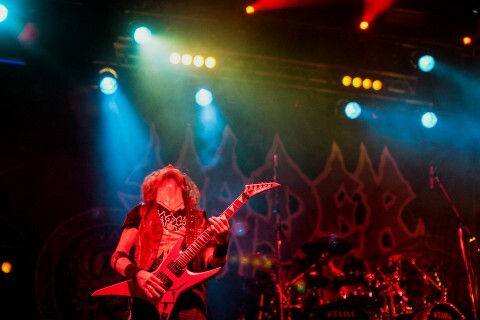 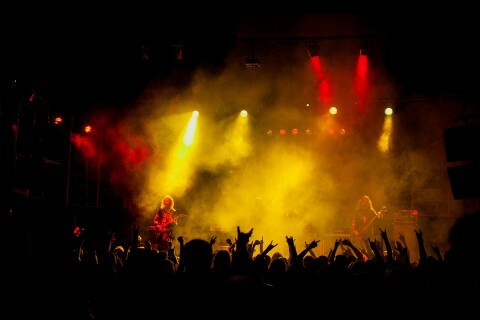 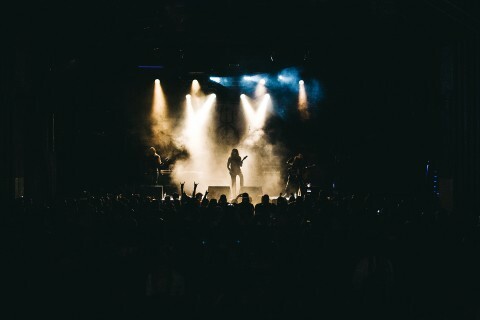 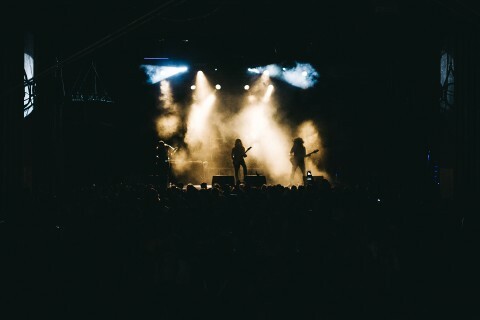 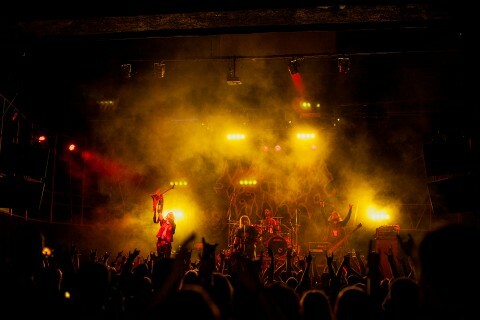 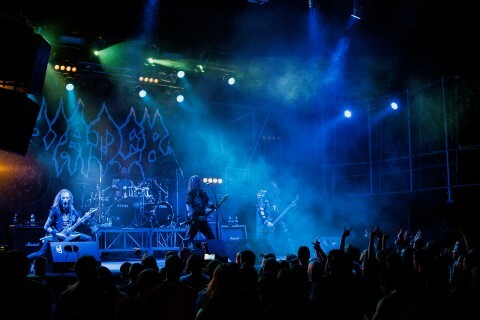 Overall, it was one of the best tours to play in Kyiv in a long time! 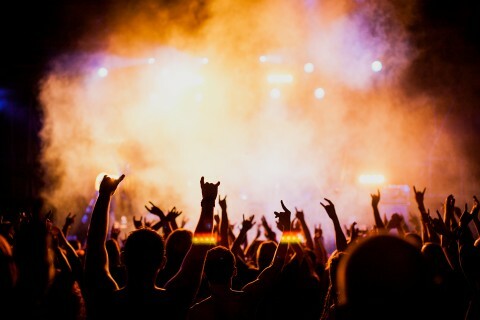 Far too often, when foreign acts are visiting, they are supported by second and third rate "guests from Europe", which, to put it mildly, are usually sub-par. The joint-appearance of three top-level acts is something I can only hope will happen more in Ukraine, local metalheads deserve the opportunity to enjoy such cool events as this one!